Welcome to the second annual Brunch Week hosted by the lovely Terri of Love and Confections and the amazing Susan of The Girl In The Little Red Kitchen! Join us this week, May 5th through May 11th while we celebrate the deliciousness of brunch!! 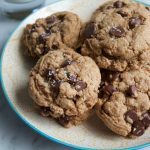 We have 32 bloggers bringing you their best brunch game, from cocktails to eggs to donuts, there is something for everyone this week. Our amazing sponsors have donated some great prizes for a gigantic giveaway, so please visit them all for more information. 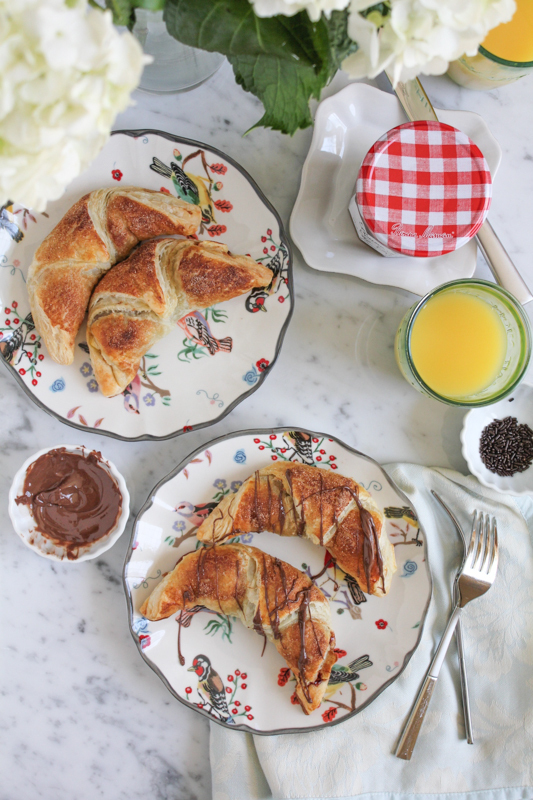 If there’s one thing I love when thinking of brunch food eats . . it’s got to be puff pastry. Puff pastry is like the most amazing thing in the world and can transform a sweet or savory treat into something so delightful. 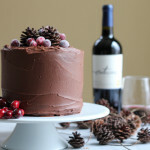 I have to admit though, I have not yet tried making puff pastry dough from scratch. . it’s on my list! But until then, store bought frozen puff pastry is the way to go! 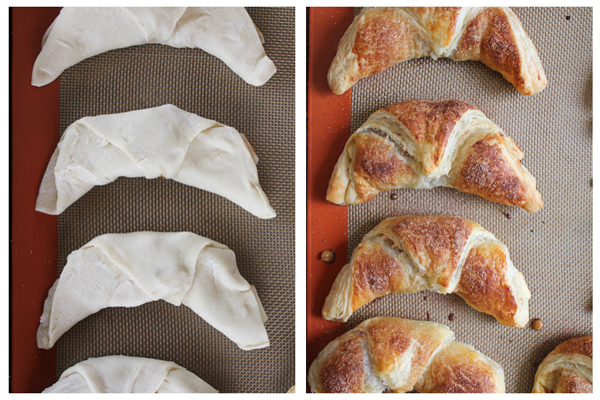 These croissants are so easy to make it’s crazy. That’s the glorious thing about puff pastry .. it makes your baked treats look impeccable and perfect. I make these croissants all the time and when peaches aren’t in season, I use apples. 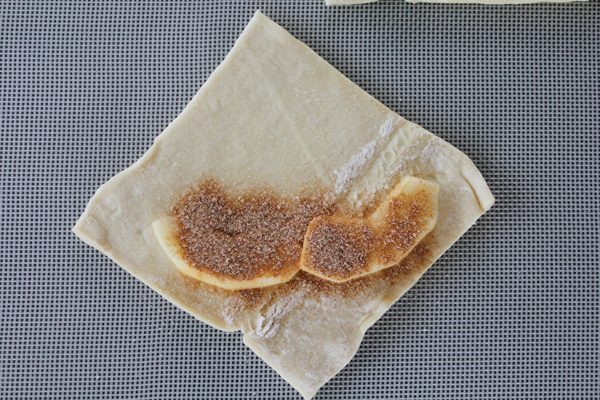 Simply roll out your thawed puff pastry dough and cut one sheet into four, even squares. 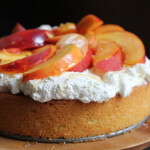 Place your apples towards the lower corner and top with a cinnamon and sugar mixture. Roll the bottom flap up, covering the apples and tuck under and then roll the top flap down and tuck under. Next, gently bend the two ends slightly downwards. Repeat until all of your croissants are finished. Next, brush on some egg wash and then top with more of the cinnamon/sugar mixture. 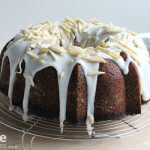 Bake and voila! Look at these beauties! (See the recipe card below for complete instructions). 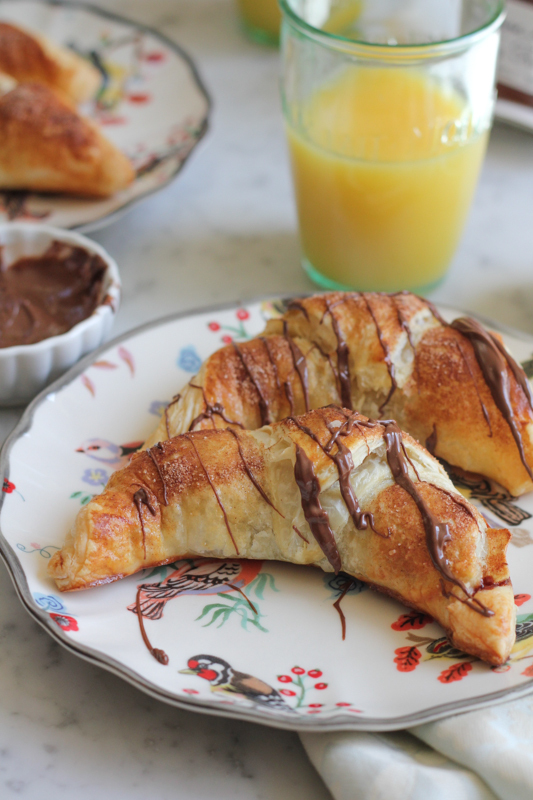 Drizzle on some melted Nutella and devour immediately. Preheat your oven to 375 degrees and prepare a parchment paper lined baking sheet. Set aside. Wash, peel and cut your apples and set aside. Mix together the sugar + the cinnamon in a small bowl and set aside. 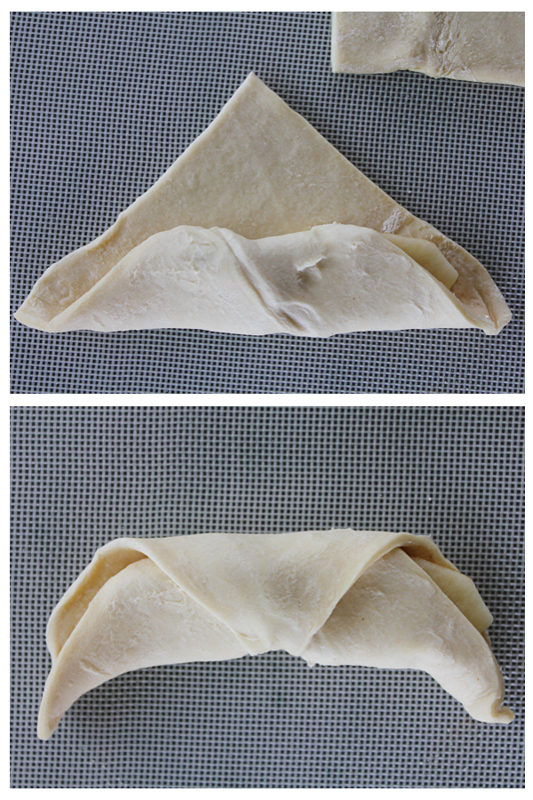 Working on a good non-stick surface, roll out your thawed puff pastry dough and cut one sheet into four, equal squares. Place your apples towards the lower corner and sprinkle on the cinnamon and sugar mixture. Roll the bottom flap up, covering the apples and tuck under and then roll the top flap down and tuck under. Next, gently bend the two ends of the croissant slightly downwards. Repeat until all of your croissants are finished. Brush on the egg wash and then top with more of the cinnamon/sugar mixture. Bake for 23-25 minutes, or until the croissants are golden brown. Remove from the oven and let cool for a few minutes. 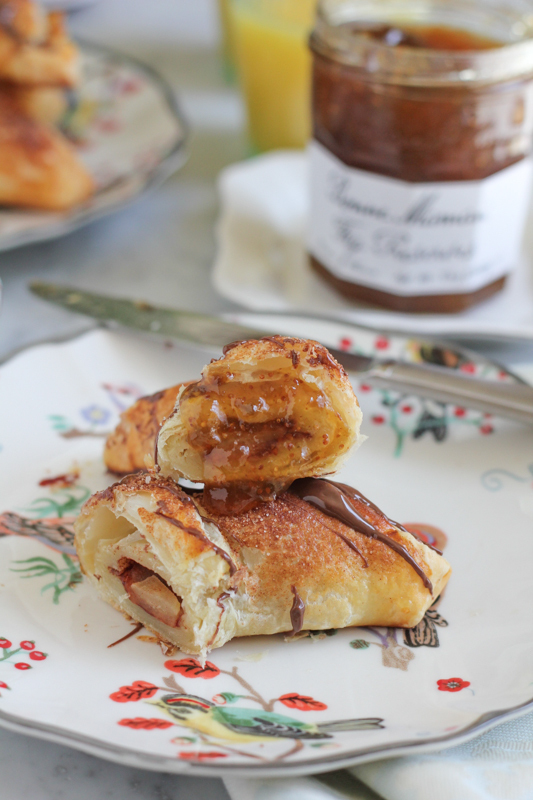 Drizzle on some melted Nutella, serve with the fig preserves and devour immediately. You’ve got to check out what everyone else brought for today! Roasted Beet Salad with Pistachios and Blue Cheese from Healthy. Delicious. This is the most amazing giveaway ever! Enter for a chance to win everything you could ever need to make your favorite Brunch dish! Mandatory Entry: Leave a comment with What is your favorite Brunch dish? Many more ways to enter in the Rafflecopter widget, above. This giveaway is open to residents of the United States only, age 18 & older. The #Brunchweek 2014 giveaway runs from Monday, May 5, 2014 7:00a EDT through Saturday May 10, 2014 at 11:59p EDT. Winners will be randomly chosen and announced on May 11th. Winners will also be contacted by email and will have 48 hours to respond to the email. If a winner does not respond in that time a new winner will be chosen. For more information, see the full terms and conditions in the Rafflecopter widget. These look soooo good, Alice. We are big into puff pastry here too, it’s always in our fridge! Heavenly crescents indeed! 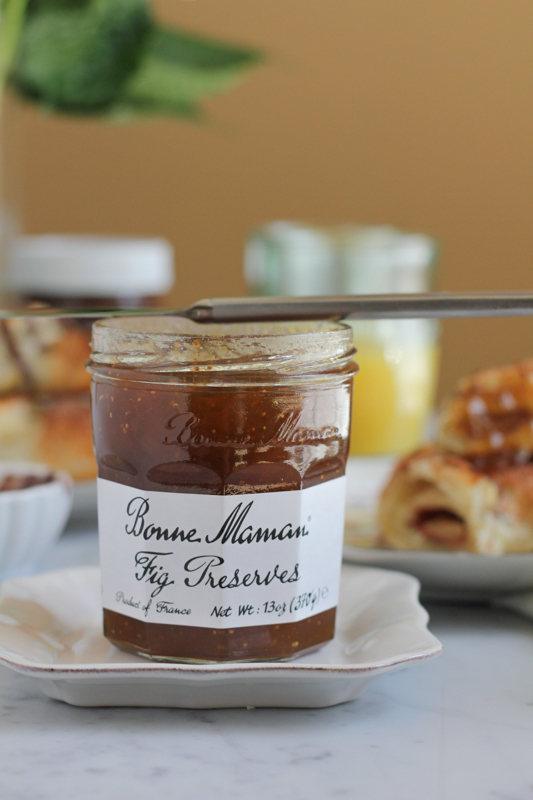 I love Bonne Maman and with that little apple filling, a side of preserves and chocolate drizzle, I’d be set. Brunch or breakky is always a favourite meal. Lora, I feel the same way. . now that I’m in the kitchen cooking all the time. . my husband has conveniently forgotten how to cook. At least he still makes pancakes. . I think that’s what I’m getting on Sunday! LOL! My tastebuds just fell off my face. These look AMAZING! I love croissants, and the apple addition is perfect!! 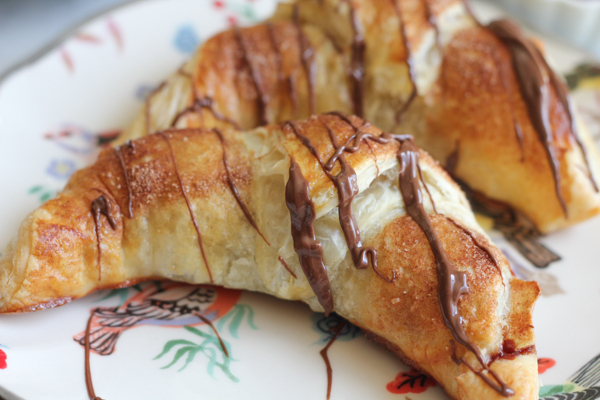 I am SO glad these are made with puff pastry…now I can make them ASAP. They look magnificent, Alice!! Magnificent brunch dish!!! Amy, oh my gawd, I LOVE puff pastry!!! You must try this and it’s so easy! What a great shortcut! I’ve yet to try homemade puff pastry, either — too intimidating, not enough counter space. 😉 These look like the perfect alternative to all that work! 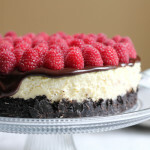 Excuse me… pardon me… I’m comin’ in for a plate full of this goodness! Thank you so much, Lori!! I make these all the time. . super versatile!! 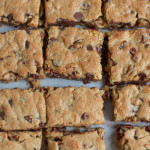 These look absolutely divine, Alice! Such a gorgeous pastry! Love the ones drizzled. So photos are so pretty! And totally perfectly themed for Mother’s Day and an afternoon brunch! 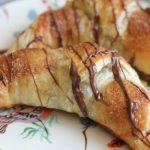 Love these apple croissants – they sound amazing! 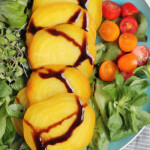 And those fig preserves – I need to try those next! Alice, I’m swooning over here. I love puff pastry (always have it in my freezer) and yay to not having to pre-cook the apples. The quicker I can get apple croissants into my face the better. 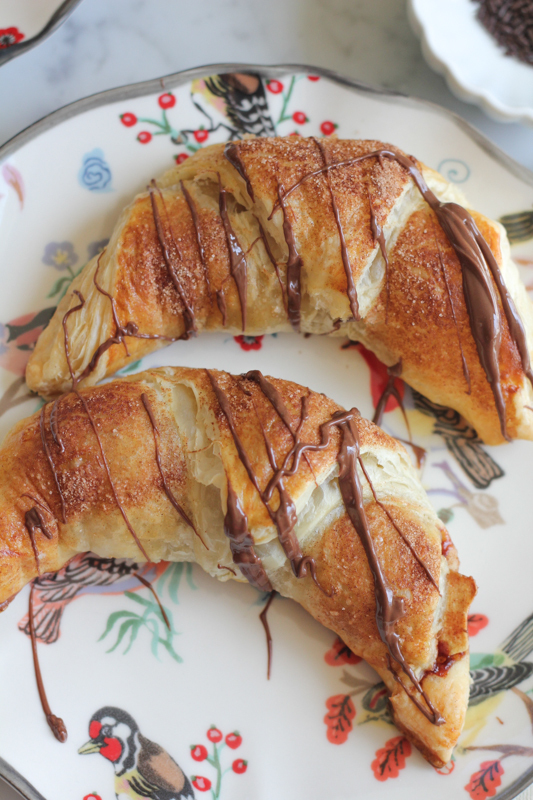 These are gorgeous, especially with the drizzle of melted Nutella over top. Ooh, I love this idea, Alice! Such a great timesaver. One day I would love to learn how to make real puff pastry or croissant dough. I just spotted a kouign amann recipe in this month’s Bon Appetit and I’d love to take a crack at it. If only there were more hours in the day! OH MY! Your apple croissants looks so good> I must be delicious with such great ingredients. What did you get? It’s so yummy!! It’s too hard to pick a favorite. It would definitely be something sweet though. I’m sure I’d love your easy to make croissants. Laura, your life will be changed forever! 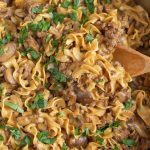 It’s so easy and such a great “cheat” recipe! Mmm one thing better than a croissant is a stuffed one! Can’t wait until I get my hand on some apples. Looks amazing!! Think we’ll add pecans to ours. Can’t wait to try it! !